It was an odd communion: a night of band-audience bonding, angelic harmonies and a surreal mini-musical soap opera episode. There was a relatively small but surprisingly boisterous and supportive crowd for a Monday night, and Ryan commented how it was like playing for a bunch of friends at home. I had expected the gentle melodies and bucolic harmonies from their two eps, and I certainly got that, but what I also got were some furious jams, mind-bending ethereal to thrasher mood swings, and a heaping helping of unhinged madness in the form of an over-the-top rendition of R. Kelly’s “Trapped in the Closet Chapter Two.” The original is bizarre enough, but Warm Weather’s version, with guitarist Ryan in a long blond wig, was truly inspired and something they seemed perfectly well-suited for (what this says, I’m not sure). It was a wonderfully camp adventure, though at the same time convincing as a piece of musical theater, as these guys have the moves and the vocal chops to pull it off. 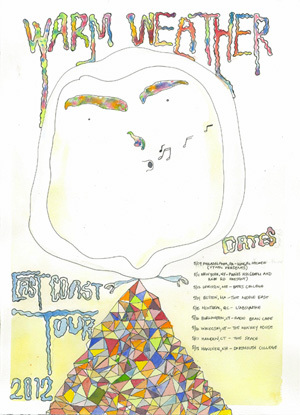 Edward Sharpe & The Magnetic Zeroes in town tomorrow night! The celebratory happy hippie love fest that is Edward Sharpe & The Magnetic Zeros (and I say that in the most complimentary way) is gearing up to release the follow up to their highly-acclaimed debut album, Up From Below, which spawned the alternative rock station anthem, “Home.” Their new album, Here, will be released on May 29 on Community Music, with a companion album (part two) following close on its heels by the end of the year. You can preorder the new album with limited edition merch or preorder on iTunes. They’ve also set up an ‘interactive website experience’, which is counting down to the album’s release, and where apparently things happen at 5:29pm daily. Not quite sure about that, but check it out! I’ll be reviewing the new album soon on Ryan’s Smashing Life. For now, they’re in town Saturday night at the Orpheum Theatre. Tickets are still available, but you should jump on them soon, as shows in Toronto, Washington DC, and Chicago have already sold out. Be a part of the upbeat, positive vibes with some really fine music at a venue befitting this classy outfit. 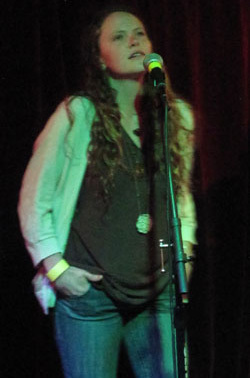 Friday, May 11, 2012 at 9 p.m.
Here’s a special evening of music happening at the Milky Way Lounge tomorrow night. 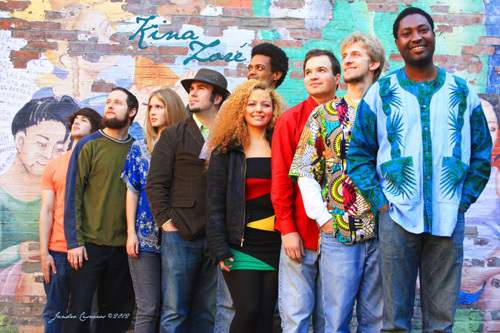 Boston-based Kina Zoré is a 7-member Afro-pop dance collective made up of Berklee and NEC graduates who perform the music of Helder Tsinine, a singer and guitarist from Mozambique. Raised in a musical family in Maputo, Mozambique and brought up during a 15-year civil war in his homeland, his music is celebratory, upbeat, joyous and highly danceable, though lyrically he addresses topics like war, poverty, the challenges of his native country, and the idea of social justice. Kina Zoré have been performing around Boston for about a year and a half, and will be releasing their debut album this summer (you can preorder on Paypal). They’re also very involved with social issues, with the focus on action and compassion. Listen to their music on Kina Zoré’s official site. Beautiful, and bound to be amazing in an intimate live setting. Treat yourself to Mozambican dance party! Kina Zoré will be joined by the all-female, African band Zili Misik. Monday, May 14 at 8:00 p.m. So I wrote about these three guys from L.A., Warm Weather, back in March, and now they’re here on their virgin East Coast tour! Their first show is Wednesday night in Philly, stopping off at the Middle East Upstairs next Monday. They have a lovely and upbeat sound, with kaleidoscopic 3-part harmonies that are ridiculously uplifting almost to the point of spiritual. Musically they’re just as cheery, with accompaniment that is sometimes folky, sometimes with rocking guitar riffs; driving rhythms and melodies. Wildly tuneful and sophisticated, this is happy music without the shame. 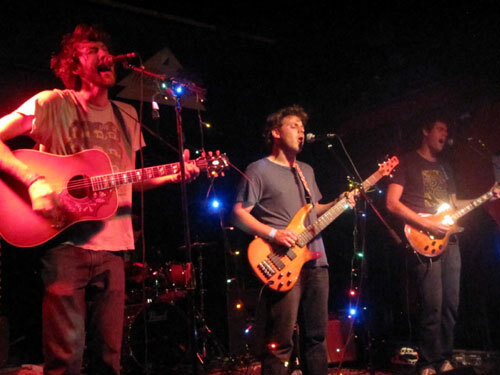 Also on the bill at the Middle East show – funky Boston trio The Cultured, Allston’s wacky and punky Fort! 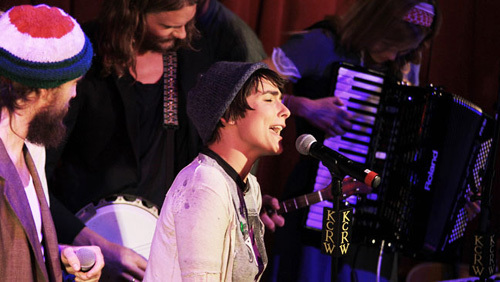 The Band, and also from Boston, folk-tinged indie rockers Friendly People. Nice line-up! Get out there and show these Los Angeles kids some love on their first foray to the Eastern wilds. And appropriately, it looks like they’ll be bringing warm weather along with them; looks like it’s going to be getting up into the 70s when they get into town. Thanks, guys! Warm Weather Debut East Coast Tour! 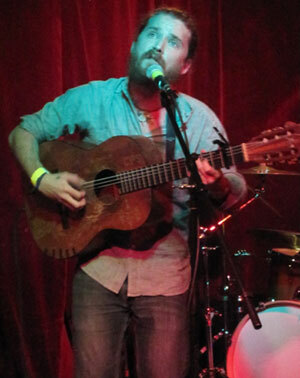 It’s a testament to this fine performer that eleven days after Christopher Paul Stelling’s mid-evening set at Precinct, I still have a vivid memory of it. I’d written about him a few times here, marveling at his lightening-fast finger picking style and impossibly warm and soulful vocals, but wasn’t able to get out to see him the last time he was in town (also at Precinct). CP’s music and his live performance has this religious fervor that’s both deeply moving and overpowering. It’s in his eyes – wide and piercing, as if remembering some especially vivid night horror. I was instantly drawn in and fascinated by this solitary figure standing on a piece of plywood, stamping out a beat with his boots, fingers flying fluidly across his beat-up acoustic guitar, and vocals compelling like a hellfire-and-brimstone revivalist but without the preaching and damnation.